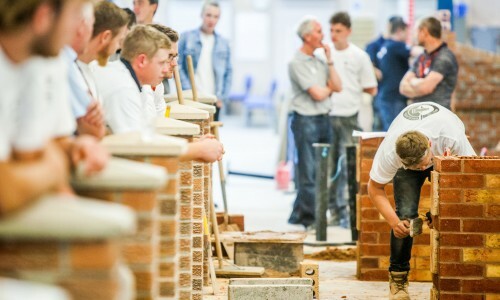 Construction students from across the region have battled it out in an intense one-day competition to test their bricklaying skills against the clock. The Yorkshire heat of the Guild of Bricklayers competition was held on June 16th at Hull College’s construction workshop. As part of the competition, students were presented with drawings and were given five and six-hour blocks to reproduce a live brickwork model. The Guild of Bricklayers is an organisation which promotes and maintains the highest standards of craftsmanship in brickwork. The Yorkshire region competition has garnered support from a host of local and national businesses and organisations. Hull-based construction firm Hobson & Porter teamed up with national materials supplier Jewson and national tools supplier Buck & Hickman to provide branded t-shirts for competitors to wear during the event. 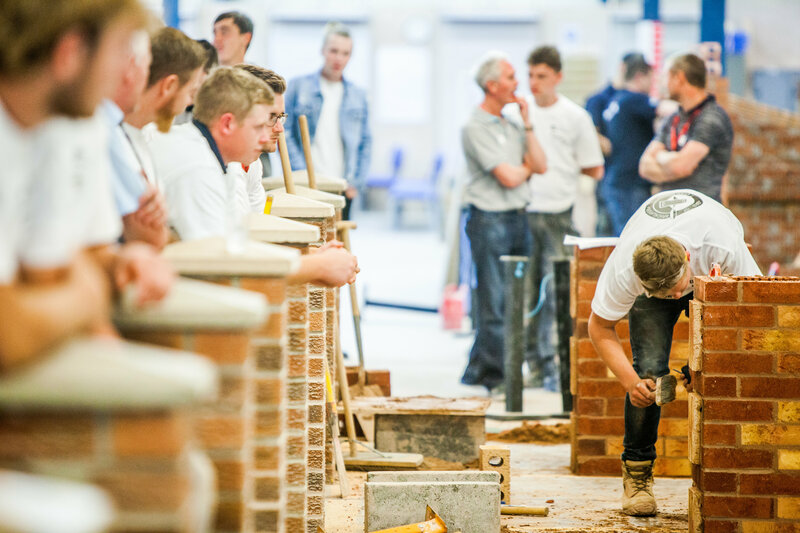 David Blades, Business Development Director for Hobson & Porter, said: “The Guild of Bricklayers competition is a great opportunity for young builders to showcase their bricklaying skills. The high standards of workmanship we saw at this year’s competition was very impressive, and a testament to the dedication of the students to their trade. This year’s competition builds on the positive reaction to last year’s event, which was hosted at Bishop Burton College. In the competition, students are judged on the quality of their brickwork by a panel of Guild appointed judges. Entrants for the senior category must be trainees who are working towards their S/NVQ Diploma level 3. Entrants for the junior category are students with little or no site experience who are working towards S/NVQ/Diploma level 1. The senior category of the competition was won by York College’s Lewi Greenwood, with Goole College’s Joe Harrison and Leeds College’s Sean Durkin finish runner up and third place respectively. In the junior category, Barnsley College’s Morgan Chambers took first place, followed by Timothy smith from Leeds College and Nathan Jamieson from York College in second and third place. Winners from the regional heats progress into the national competition, which took place at Derby College on 21st June.